The foods that you put into your body directly effect your ability to lose, maintain or gain weight. While fast foods, frozen foods/prepackaged foods may be convenient and quick for your schedule, these foods are making your fitness goals less convenient…in other words slowing down your potential progress. This is why you’re bloated- Lack of fiber, cheese and over-processed foods are blocking up your system and inhibiting natural digestion. The liquids that you are drinking (soda, alcohol, etc) are the exact ones that are dehydrating and bloating you. Our bodies weren’t designed to handle some of the foods that are now popular to the majority. Beat the bloat- Eating balanced meals is a challenge if you allow yourself many hours between meals. Keep healthy snacks like sliced celery, carrots or fruit on hand so that your body doesn’t go into starvation mode/fat storage mode. Have you ever noticed that if you wait many hours before eating dinner, when your meal is finally ready to be consumed, your stomach hurts and you end up bloated after the meal? 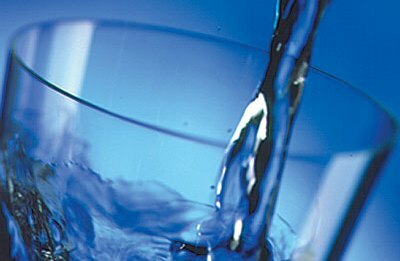 Drink lots of water – You should be drinking at least half of your body weight in ounces of water each day. I don’t believe in the “don’t drink water if you’re not thirsty” saying. Stay hydrated to beat bloating. Stay regular- This means eating lots of fiber, especially in the mornings to enable healthy digestion and elimination. Add flax seed to your morning oatmeal or some leafy greens to your morning smoothie. Limit sodium intake- This means straying away from any pre-packaged foods, frozen foods and sauces. These foods are loaded with sodium to preserve their taste. They will do nothing good for your body. Eating balanced meals, keeping track of your portions, and drinking your daily quota of water will help you manage bloating and stay on track with your fitness goals. Consult with your personal trainer or nutritionist to find the best plan for you! Posted on March 20, 2012, in fitness, Fitness News, nutrition, weight loss and tagged balanced eating, balanced meals, bloating, del mar personal trainer, diet, eating healthy, fiber, hydration, low sodium, nutrition, nutrition tips, planning meals, san diego nutrition, san diego personal trainer, sodium, weight loss, weight loss tips, workout hydration. Bookmark the permalink. 1 Comment.